Purchase your tickets online and bring in either the 12 digit confirmation code or the debit/credit card you used to purchase them with for redemption. We do not have any additional processing fees. Order your tickets today! 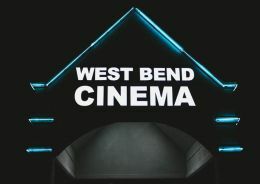 West Bend Cinema now offers one of the following seating arrangements in each of the 10 theaters. Seats are available on a first come, first serve basis. We recommend coming no later than 30 minutes prior the start of your showtime. Buy any size popcorn and/or fountain drink and refills are free for the rest of the day! Valid any day and evening! One free small bag of popcorn with each ticket on Monday! $5.00 Admission per child, adult, senior or military all day and evening on Tuesdays! Small fountain drink and small popcorn all day and evening on Wednesdays for just $4.00! Blockbuster Combo for just $8 and Double Feature Combo for $12! Seniors enjoy $5.00 admission until 6:00 showtimes on Friday!